New discoveries inspire archaeologists to re-envision the culture that created Stonehenge. In 1856, American writer Nathaniel Hawthorne hired a carriage for a 10-mile journey from the rural town of Salisbury to Stonehenge. Of the great megaliths he wrote, "There never was a ruder thing made by mortal hands as if Nature and man had worked upon it with one consent, and so� all the stranger and more impressive from its rudeness." Some 150 years later I'm following Hawthorne's route across Salisbury Plain, along a rough track that opens onto sweeping fields and skies. I can see Stonehenge less than a mile away, on a gently sloping spur, dwarfed by surrounding hills. There, massive blocks of sarsen sandstone rise 17 feet, encircling even larger sarsen stones and rings of bluestones up to eight feet high that had been transported more than 200 miles from the Preseli Hills in Wales. Scattered around the landscape are earthen mounds 12 or more feet high, covering the Bronze Age graves of people once thought to have built the mysterious monument. The view has changed little since Hawthorne's time, but my vision of Stonehenge today is very different. Artists, mystics, and scientists have contemplated the stones for centuries, calling them everything from a place to summon demons to the world's first computer. Hawthorne didn't find any answers here. It is, he wrote, "a mystery as to who built it, and how, and for what purpose." But now, as modern archaeology reaches beyond the stones, we are finding a ceremonial landscape as unique as the megaliths within it. My first excavation at Stonehenge took place nearly 30 years ago, at the start of my career studying Britain's stone circles. On that project I found a pit that once held a large megalith; its location strengthened the idea that the stones were aligned with the rising and setting sun. But I ran into the same problem that then impeded all new Stonehenge research—the results of nearly a century of intermittent excavation at the site had been largely unpublished and jealously guarded by the archaeologists. Resolving this shameful situation took a new generation of scholars, as well as a determined push from English Heritage, the public agency that manages Stonehenge. 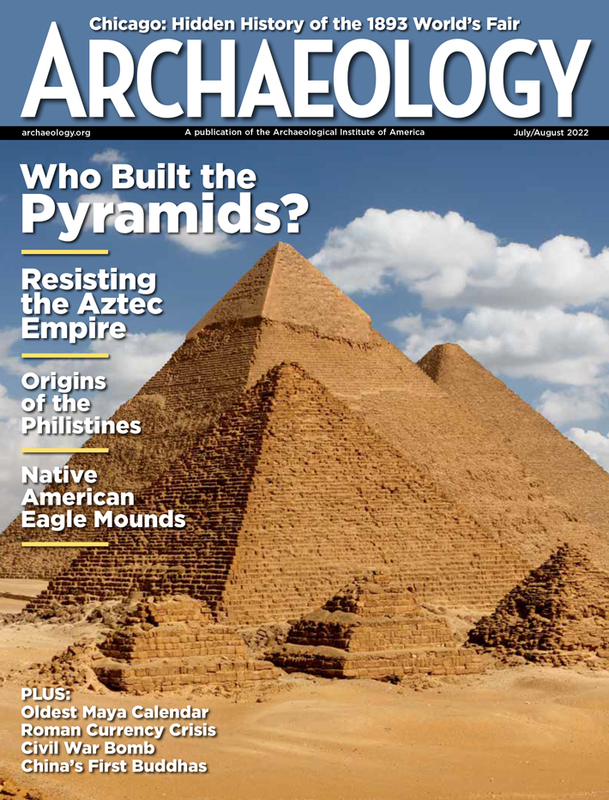 In 1995, the publication of all twentieth-century excavation results was completed and a new era of understanding began. All information about the stones is now accessible. Controversial road construction plans led to extensive surveys of the surrounding landscape. Substantial monuments excavated in the last century, once thought to be older than the stones, now seem to be contemporary, according to a refined radiocarbon chronology. These include the sites of Woodhenge and Durrington Walls, which sit only 200 feet apart. The sites feature hundreds of tall oak posts that seem to mimic Stonehenge. New excavations at Durrington Walls, named after a nearby village, have revealed a Neolithic settlement where heaps of artifacts and animal bones suggest complex rituals. We are in the midst of the most dramatic era of Stonehenge discovery and debate since burials near the monument were first excavated 200 years ago. While the new excavations have yet to be fully analyzed, let me share with you some of the excitement and surprises that enliven what many have seen as a monument with nothing more to say. Since the nineteenth century, Stonehenge was believed to have been built in the Bronze Age because of the exceptional number of nearby graves that contained bronze daggers and other fine artifacts. 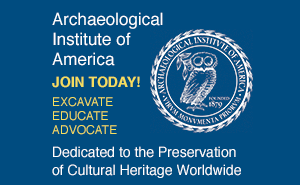 Richard Atkinson, director of Stonehenge excavations in the 1950s and '60s, favored 1500�1400 B.C. as a time frame for the erection of the megaliths. The new date puts Stonehenge in an entirely different context. Now we understand the megaliths are roughly the same age as the ceremonial timber rings at Durrington Walls and Woodhenge. Late Neolithic people (3000�2200 B.C.) knew how to work stone to make cutting tools and weapons. And it is now possible to understand that the construction of Stonehenge was inspired by nearby circular oak structures (see "The Wooden Henges," page 52) in everything from the carpentry-like jointing of the sarsen stones to the very concept of a monumental arrangement of freestanding uprights. This new context may offer insight into how the stones fit within the belief system of the people who erected them. The apparent similarities in the layout of the stones at Stonehenge and the posts at Woodhenge and Durrington Walls particularly struck Mike Parker Pearson, an archaeologist at the University of Sheffield, while he was conducting fieldwork in Madagascar. Ritual megaliths and posts are still erected on the large island off the east coast of Africa. Some Madagascans associate stone with their deceased ancestors, and wood with living people. Perhaps, thought Parker Pearson and his Madagascan colleague, Ramilisonina, the same principle applied more than 4,000 years ago in southern England. The landscape, they argued, could be divided into two "domains," that of the ancestors around Stonehenge in the west, and that of the living beside the River Avon in the east. Debris, including bones of butchered pigs, had been recovered from the timber monuments at Woodhenge and Durrington Walls but no evidence of feasting and few artifacts have been found at Stonehenge despite structural similarities between the sites. That, said Parker Pearson and Ramilisonina, was because the stone monument was inhabited only by the spirits of the ancestors. Stonehenge and Woodhenge-Durrington Walls are close enough to be visible to each other were it not for a ridge separating them. There is, however, a link between them marked by parallel banks and ditches 70 to 110 feet apart, known as the Stonehenge Avenue. Parker Pearson and Ramilisonina believe it shows the two locations were connected physically and spiritually. The avenue begins at Stonehenge with a straight section aligned with the site's solar axis. It then takes a sharp right turn, crosses the ridge, turns right again, and ends near the river south of Woodhenge. The circuit formed by the avenue and the river—about five miles between Stonehenge and Woodhenge—linked the living and the dead. In 2003, Parker Pearson and colleagues at the universities of Manchester and Bournemouth launched the Stonehenge Riverside Project, named for the concentration of earthworks and monuments on the west bank of the Avon. To date, eight more universities and 30 researchers (myself included) have joined the project, making it one of the largest in the history of British archaeology. We have conducted fieldwork at numerous locations, but the Neolithic town at Durrington Walls has held an iconic fascination for us since landmark excavations at the site 40 years ago. To get down on our hands and knees and pick up the debris left by people who might have seen Stonehenge being built—at the same time as the Great Pyramid in Egypt—is an unexpected privilege. Woodhenge is the most famous timber henge, but its six concentric rings of posts were totally excavated in 1926�27, leaving nothing for modern archaeologists to discover. Luckily, a comparable structure dubbed the Southern Circle was partially revealed during roadwork at Durrington Walls in 1967. Now another part of this site has been excavated, revealing that one ring is oval, not circular. The design mimics the inner oval of bluestones at Stonehenge says Parker Pearson. He has even found a short path with parallel banks connecting the circle to the river, just like the Stonehenge Avenue. Naturally, he calls it the Durrington Walls Avenue. It is well known that Stonehenge faces the summer solstice sunrise, but the site is also aligned to the winter solstice sunset. Parker Pearson argues that the winter alignment also links Stonehenge and Durrington Walls. Analysis of huge numbers of pig teeth recovered from Durrington revealed that most of the pigs had been killed when they were nine months old. It is likely they were born in the spring, so they probably died in the winter as part of a "midwinter cull," he says. Archaeoastronomer Clive Ruggles, professor emeritus at the University of Leicester, provides further support for the winter solstice link. Citing the results of a new archaeological survey, he says the entrance to the Southern Circle faces the rising winter solstice sun. Unlike Stonehenge, this site is in a small valley, and the reverse summer alignment is obscured. Here, at least, the alignment seems to be a winter one. Parker Pearson's vision is of a great winter solstice festival. People from a wide area gathered at Durrington Walls to feast and conduct ceremonies among the oak rings before walking down the short avenue to cast the cremated remains of the dead in the river. Among the dead, he argues, a select group of individuals would have had their ashes carried by hand downstream, and up the Stonehenge Avenue, to be buried in a ring around the stones. At least 50 cremations had been interred at Stonehenge, and perhaps many more, making the site the largest cemetery of its type in Britain. Discoveries of houses in the new excavations at Durrington Walls made headlines. The New York Times called it "the largest Neolithic village ever found in Britain," which is less impressive when it is noted that no other such "village" is known in England. To date, only seven houses have been found at Durrington Walls—talk of "hundreds or even thousands of small dwellings" is speculation; Parker Pearson predicts there may have been 300. But their presence alone has caused great excitement among archaeologists. Each house has a clay floor with a central hearth. The walls are marked by stake holes where slender wooden frames rose to support plastered mud and straw walls and roofs, and impressions in the floors suggest furniture such as beds. The houses are square, with sides between eight and 16 feet long; they could not have accommodated more than a nuclear family, or perhaps a few workmen. Each house appears to have had garbage pits close by, promising unique insights into daily village life. Uphill from these houses and the Southern Circle are two more buildings that have become the subject of debate. Both buildings were enclosed by circular ditches and timber palisades. One house featured two pairs of pits that held vast standing posts. Were they homes for important people, perhaps the families of priests or chiefs, implying a political or ritual hierarchy? Or were they shrines, overlooking the ritual feasting? Julian Thomas, archaeology professor at Manchester University, who directed their excavation, believes they were "cult houses," places where unknown religious rituals occurred. Excavations will continue in 2008, but already Parker Pearson claims his ideas are supported by the finds. The avenue that connects Durrington Walls to the river, the oval ring of posts in the Southern Circle, and the winter solstice alignment emphasize the parallels between Durrington Walls and Stonehenge, he says. The evidence for feasting, timber structures, and disposal of artifacts at Durrington Walls, however, contrasts markedly with the lack of such finds at Stonehenge. Watching the summer solstice dawn at Stonehenge was popular a century ago (as postcard photos show), but has become a contentious national issue in my lifetime. On my first chilly visit when I was still in school, only a few friends and curious onlookers watched the white-robed Druids commemorate the solstice. By 1985 the celebration had changed into an anarchic pop festival with the Hell's Angels providing security. That year, the festival had grown so large that site managers had to shut it down. In the resulting chaos, police attacked festival attendees and 420 were arrested. Today a new peace prevails, English Heritage assists thousands who come to celebrate the sunrise among the stones, but they leave no room for the original Druids ("Solstice at the Stones," September/October 2003). More than 4,000 years ago, Stonehenge was a monumental construction site, as megaliths and posts were shaped, positioned, and rearranged. Over time, ideas and rituals probably changed as well. Perhaps there was more to Stonehenge than a place for ancestors. Timothy Darvill, a professor at Bournemouth University, but not a member of the Riverside Project team, certainly thinks so. He finds the ancestor model "overly simplistic," and emphasizes the significance of Stonehenge to the living. He takes his inspiration from two historic sources: a controversial Greek text and a medieval story about Stonehenge's origins. Both, Darvill believes, contain memories handed down since Stonehenge was built. Around 330 B.C. the historian Hecateus of Abdera wrote about the Hyperboreans, as the ancient Greeks called northern peoples, and described a large island on which Apollo was honored at "a notable temple�spherical in shape." Darvill interprets this as a literal reference to Stonehenge. While not suggesting a direct link between Classical Greece and Neolithic Britain, he believes that people of both regions drew on a common religious tradition that reached from northern Europe to the Middle East. In classical mythology, Apollo was a solar deity associated with healing who spent the winter among the Hyperboreans. At Stonehenge, Darvill guesses that the tallest pair of megaliths, the great trilithon at the site's center, represent the local equivalent of Apollo and the female lunar deity Artemis. The most impressive "unwell" figure near Stonehenge was excavated in 2002, when an exceptional grave—by far the richest of its type in Britain—was found during construction of a housing development on the opposite bank of the Avon. The man suffered from a jaw abscess, a limp, and a badly damaged knee. Radiocarbon dated to 2450�2200 B.C., the Amesbury Archer, as he was dubbed, caused a sensation. Among his grave goods were 16 flint arrowheads, but more telling were gold ornaments and copper daggers—Britain's oldest dated metalwork—and a stone possibly used in smithing. The artifact styles suggest he came from central Europe, an idea that is supported by isotopic analysis of his teeth (see "Britain's First Immigrant," below). He made the journey, says Darvill, to a prehistoric Lourdes in search of cures. Much now hangs on radiocarbon samples from the new excavations at Durrington Walls that have yet to be analyzed. Huge numbers of animal bones, artifacts, and structural evidence remain to be studied and described. Will Stonehenge and Durrington Walls prove to be precisely contemporary? What will the finds from the houses reveal? Will archaeologists discover the function of the two "cult houses"? Darvill, like many scholars, has focused on the Welsh bluestones, but the really big stones are sarsen. The largest are 22 feet high, and weigh more than 50 tons each. Nowhere in ancient Europe can there have been a project as challenging—and dangerous—as moving a large sarsen to Stonehenge. And unlike most of the bluestones, they were subjected to laborious dressing and surface finishing. To understand Stonehenge we need to know more about the sarsens, how they were moved and carved, and exactly where they came from. Ideas about why Stonehenge was built need to account for Neolithic politics. The authority to gather the resources and organize the labor to build the monument would have brought power and respect to whomever was responsible. The project's scale would have demanded a labor force greater than local communities could have provided. The route along which the bluestones traveled must have traversed several territories, and even the sarsens may have come from a neighboring realm. Unfortunately, archaeology gives us no clues as to whether these territories might have been controlled by tribes, chiefdoms, or other types of government. It is difficult to prove, but negotiations and alliances would surely have been needed, and may even have been a factor in the decision to use Welsh stone. The people at Stonehenge could have used the bluestones to extend their authority. Toward the end of Durrington Walls' history, around 2300 B.C., a massive earthwork enclosure more than 500 yards across was built on the site—a "henge" distinguished by a ditch inside a bank. Three other earth henges of similar scale were dug in a line between Avebury in the north and the coast to the south. I have proposed these henges mark the centers of rival territories. Timber palisades and large numbers of flint arrowheads suggest localized warfare. (The new excavations at Durrington Walls have also yielded a human bone with arrow wounds.) Stonehenge may have been part of power games involving living people as much as the gods or ancestors to whom it was home. During last June's summer solstice, I joined the crowd at Stonehenge, estimated to be 24,000. We knew where to look, but we still checked our watches for the moment of sunrise as pink-tinged clouds obscured the horizon. The brightening day revealed no sun, but instead a packed mass of tired, brightly clothed people trailing saxophones, drums, and plastic bags full of belongings. Many of these celebrants like to think they are sustaining, at least in spirit, their remote ancestors' festivities. Yet now archaeologists claim the significant time was the winter solstice. In contrast to the carnival atmosphere of the summer solstice festival, winter solstice is an occasion of near-private tranquility. This has become my favorite moment, when the sky darkens on December 21. It is cold, and I have to watch from outside the rope around the stones. But as the brilliant red disc sets between the megaliths, the effect is spectacular. We are uncovering a new, rich story of Stonehenge that promises to affect our modern engagement with the site as much as our understanding of its history. When the winter solstice comes around this year, I hope to be there, seeing something that was important to people thousands of years ago, and wondering what our new excavations will reveal in the years to come. Mike Pitts is an archaeologist, editor in chief of British Archaeology, and author of Hengeworld.